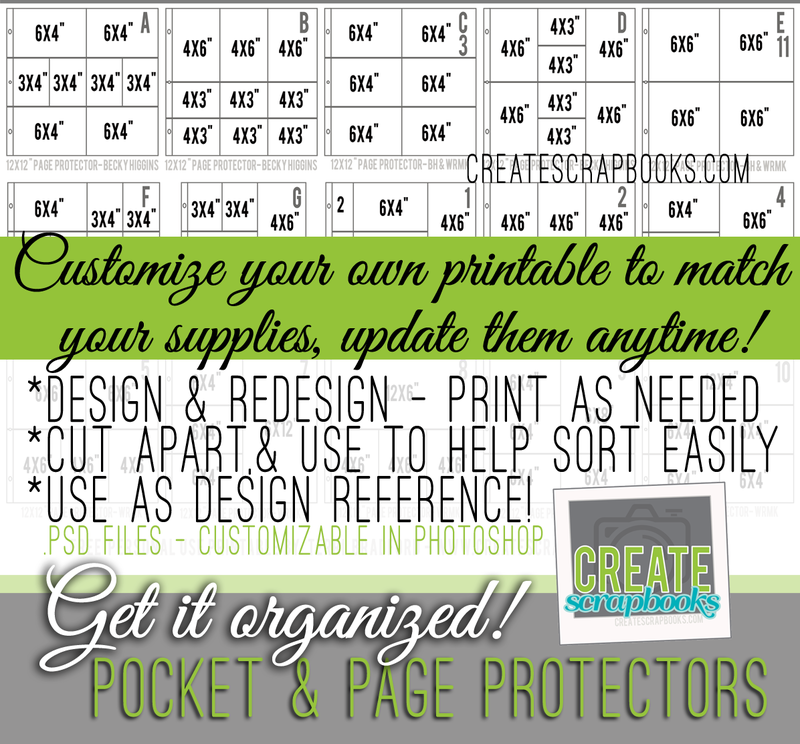 Customizable Photoshop .psd Get It Organized Pocket & Page Protectors Digital Files for Project Life Organization. 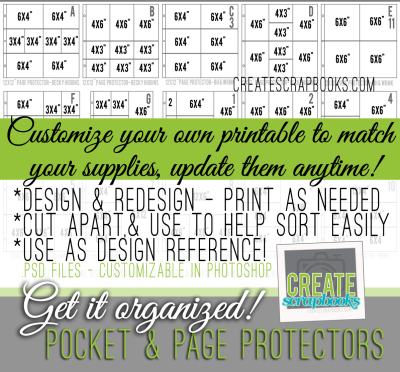 Includes: 3 – 8.5×11” DIGITAL .psd (Photoshop) downloadable files with the most popular photo pocket & page protector styles created as visual elements to help you create your own customizable organization system! 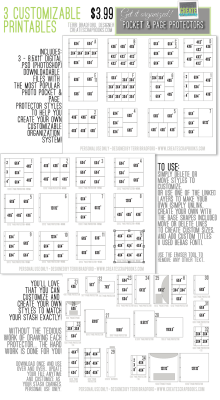 These are designed to be PRINTABLES: after you customize them you will be able to print out your customized files to use in your organizational system as references. Included page protector styles/sizes are shown image below. 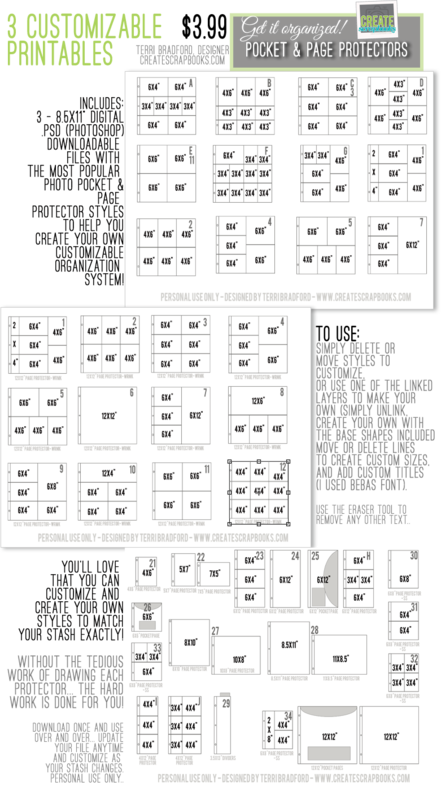 These include 12×12″, 12×10″, 6×12″, 6×6″, 6×8″, 4×6″, envelope pages… and even divider images! To use: Simply delete or move styles (each protector is its own layer – easy to to customize, or use one of the linked layers to make your own if it isn’t on the digital file already (simply unlink, create your own with the base shapes included move or delete lines to create custom sizes, and add custom titles – I used Bebas font). Use the eraser tool to remove any other text.. There will be no physical product sent to you. These are digital downloadable files in .zip format (3 files inside the .zip file are .psd editable files). Personal use only. 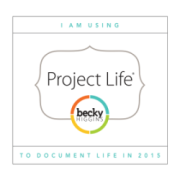 Create Scrapbooks and these digital files are not affiliated with Project Life by Becky Higgins or any other company. 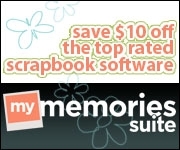 Create Scrapbooks – Get It Organized: FREE 6×8″ FREE Pocket and Page Protector .pdf Files to download and print – Personal Use Only.